Sharlene Mae Christian, of Shakopee, passed away suddenly on November 8, 2018 at the age of 74. Visitation is Monday, November 12, 2018 from 4:00 – 7:00 PM at Ballard-Sunder Funeral & Cremation (4565 Pleasant St. SE) in Prior Lake. Celebration of Life Service is Tuesday, November 13, 2018 at 11:00 AM with visitation one-hour prior at Shepherd of the Lake Lutheran Church (3611 North Berens Road NW) in Prior Lake. Pastors Dan Poffenberger & Rebecca Gamble will preside, and Sharlene will be laid to rest at Spring Lake Cemetery in Prior Lake. Memorials are preferred and will be distributed in Sharlene’s honor by her family. On March 19, 1944, Sharlene was born to parents Harlan & Elvira Thompson. Sharlene was a twin; however, her sister Sharon died at birth. Sharlene was later blessed with a little sister, Twylah. As a girl, Sharlene loved growing up on the family farm in Elmore. When she wasn’t helping with chores, she enjoyed playing “school” with her sister. Sharlene used a blackboard from an old country schoolhouse to teach her sister everything she needed to know. From then on, Sharlene knew she wanted to be a teacher. After graduating from Elmore High School, Sharlene attended Luther College where she studied Elementary Education. Sharlene loved her time at Luther and was so proud when her son followed in her footsteps years later. Right out of school, Sharlene began teaching. She loved shaping the minds of children, and always knew that she also wanted children of her own. Sharlene was blessed with two wonderful children, Brent & Sara. They were the light of her life, and Sharlene was the best mom. When her kids were young, they spent summers at lake cabins with family and friends. Sharlene passed on her love of games to her kids. They enjoyed playing 500, Scrabble and doing puzzles together. One night at a friend’s house party, Sharlene met a handsome young man named Bill. Sharlene and Bill instantly gravitated towards one another and spent the whole night talking. They quickly fell in love and were married two years later at Shepherd of the Lake Lutheran Church on January 14, 1989. Bill & Sharlene settled their family in Shakopee and shared a wonderful life together. Sharlene spent the last 20+ years of her career teaching in the Shakopee School District. Sharlene even got to teach alongside her daughter who had followed in her footsteps. After working nearly 40 years in education, Sharlene retired in 2007. In retirement, Sharlene had more time to pursue her passions. She kept the most beautiful flower and vegetable gardens. She often recruited her family to help with planting and weeding of her gardens. Sharlene was an avid reader and longtime member of a book club. Bill & Sharlene took many trips together visiting friends and family in Florida, California & Okoboji. Their most memorable trip was to the Holy Land. Sharlene always loved the holidays and went all out for every celebration. She was such a generous woman and volunteered her time and talents at church and school. Sharlene was an accomplished cook and baker. She and Bill belonged to a monthly dinner club through church. Sharlene often prepared the dessert course for the group. Her treats were so delicious that her grandkids nicknamed her “Mema Cookies.” Sharlene loved being a grandma. She attended countless softball games and band concerts supporting her grandkids. She loved them so much! Although Sharlene had many interests throughout her life, the most important things were her faith, family & friends. Sharlene was so selfless and would do anything for those she loved. She was a kind, smart and generous woman. She will be deeply missed and remembered always by her loving husband, Dr. William Christian; children, Brent Field, Sara (Matt) Theis; step-children, Liz Bouma, Linda Christian & Jayne (Jim) Sweeney; grandchildren, Sydney, Trystan, William, Vanessa, Eloise, David; sister, Twylah Kohout; other loving relatives and many dear friends. Sharlene was greeted in Heaven by her parents, Harlan & Elvira (Naumann) Thompson and her twin sister, Sharon Thompson. I loved her as a teacher and a huge influence in my daughters life! So full of joy ! So sorry we can’t be there but know that Bruce and I are thinking of you and your family. Take care and let others help you all. Find some peace and comfort in all your wonderful memories of your mom/mil/grandma. Our hearts ache with the passing of our dear, kind, caring friend, Sharlene. 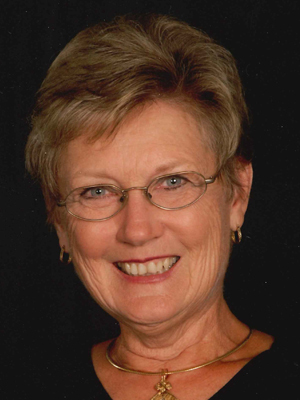 She will be deeply missed in the lives of her family, friends, and in the many activities that she passionately lead or participated in as a member of Shepherd of the Lake Lutheran Church. Many individuals, who may not have even known Sharlene personally, are recipients of her caring and tireless efforts to make certain those less fortunate or those with personal needs were cared for. Our eyes tear up as we think of how much she will be missed as a member in a dinner group- Collaborative Cuisine and Camaraderie – a small group ministry through SOLLC, in which she always made certain that not only did we enjoy dinners together monthly for over 22 years, we also had an active service project in place. Sharlene’s presence in our lives has been a blessing for God. So very sorry for your loss. Our thoughts & prayers are with you at this most difficult time. will forever be in my memory and in my heart. It is with my most sincere and heartfelt condolences that I offer my prayers. Sharlene, you will be so greatly missed by your family, your friends, and all those whose lives you have touched. I am so very sorry for your loss. May all of your try to find some peace during this time. Love and Light. I’m so sorry to hear of Sharlene’s passing. I loved getting to know her better on our trip to the Holy Land. My prayers are with you during this difficult time. Bill, so sorry to learn about Charlene. I enjoyed working with her on committees. Deepest condolences to you and your family. Sharlene leaves a huge hole in my heart and certainly in the heart of our Shepherd of the Lake Church. She was the most organized person I have ever met and she used those organizational skills generously with the church to help others. I met Sharlene many years ago at the old church site when we were on Council together and we have been doing projects together ever since. Her compassion for others showed up in all that she did, Originating and running “No Horsing Around”, organizing and selling carved olive wood figures to raise money for the Palestinians, decorating the church, staffing a promotion table of one sort or another between services, preparing meals for visiting groups, serving communion, ushering… The list is endless. Just last week Sharlene shared with me her excitement over the Turkey Holiday dinner she was organizing for the Families Moving Forward group that would be staying at our church over the Christmas Holiday. We will all have to volunteer much more to take over the many tasks she has left behind for us to do. God Bless you Sharlene, and may God hold her loved ones in the palm of his hand. We are so saddened to hear of Sharlene’s passing . Such a wonderful caring and sharing friend , always giving of herself for others and her beloved church and faith. Sorry for your loss. I taught with Sharlene and knew her to be a caring and loving teacher. She impacted many student’s lives. May you feel God’s peace and comfort through the loving arms of family and friends as you are held these next days and weeks moving through the days without Sharlene at your side. My heart is heavy w this abrupt loss of such a vibrant, giving and compassionate woman. Sharlene’s beautiful smile always lifted me up and made me feel welcome. It was delightful to help out with “No Horsin’ Around,” not just because it is a great idea, but because she made it so fun. Just visiting with Sharlene at church was a blessing, and I will miss her! Know that all her family and friends are in my prayers. Sending thoughts and prayers to Sharlene’s families. My cousin, Gwen, came to the memorial service today and said it was lovely and a beautiful tribute to Sharlene’s life. As I read her obituary, she truly did have a positive influence on many people’s lives. God bless all of you as your travel through your grief journey. Sending you our family’s prayers and sympathy at this difficult time in all of your lives. Cherish the wonderful memories and traditions each day of your so very beautiful sounding mom and grandma. We know how much she will be greatly missed by all of you.